A classic look for century-old recipes. These matching custom 10 and 19 oz glass jars replaced uninspired Mason jar-style containers. 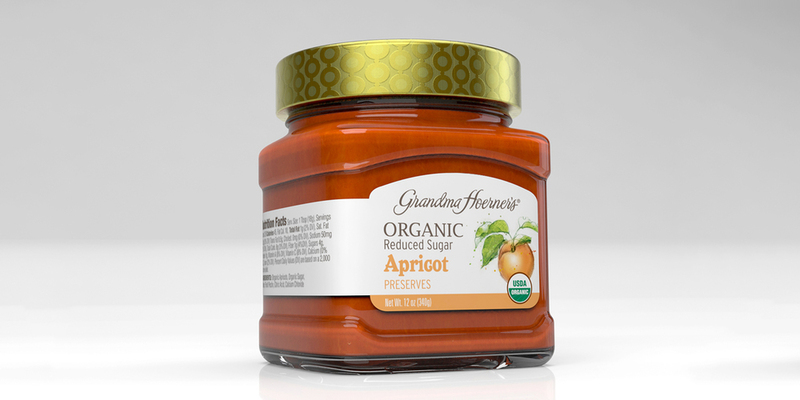 Studio One Eleven designed premium packaging that blends modern rectilinear structures with pedestal-like detailing at the shoulder and base to impart a heritage look suiting Grandma Hoerner's century-old recipes. The slight broadening of the jar at the top and bottom also creates a recessed label panel area that protects the three-sided label from damage as the jar is handled. 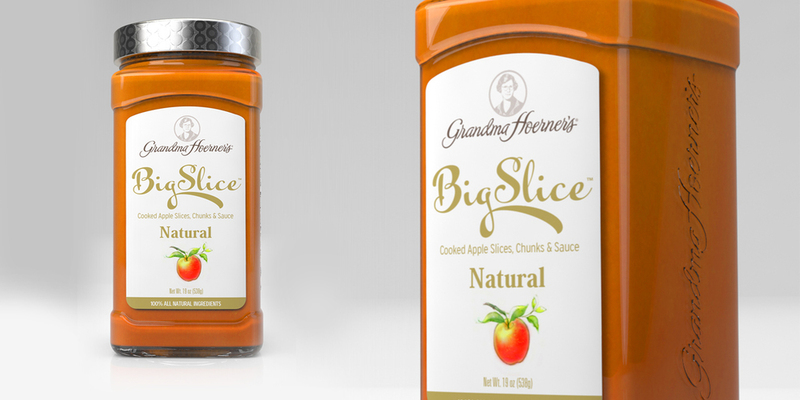 Studio One Eleven incorporated extra-large brand embossments on one side of each jar – the GH initials on the smaller preserves jar and the full Grandma Hoerner name on the larger applesauce jar. The detail bolsters the impression of a product with a special provenance. The company logo, label design, and communication hierarchy were also updated to modernize the products for contemporary tastes without losing the heritage positioning. 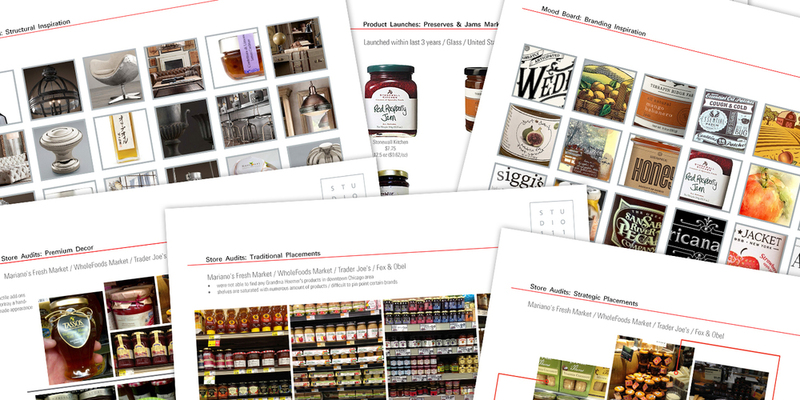 The wraparound label delivers the real estate required to tell the product story, complete with the connection to Grandma Hoerner's cooking. The package update has helped increase shelf space in the highly competitive fruit and jelly categories. The new square and rectangular bottle structures are also minimizing shipping costs by enabling more product to fit on each pallet.